Mid-Summer Alignment on the Curragh? Meet at Kippure House – €5 charge payable for parking. This is a very fine example of a Neolithic passage tomb dating from about 3,300 BC. It is of the same type of megalithic tomb as Newgrange but on a smaller scale. 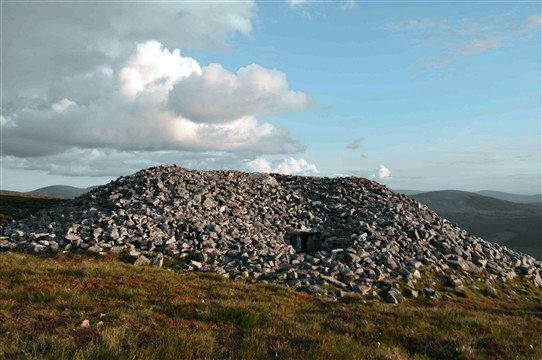 It consists of a circular cairn of stones some 25m in diameter and 3m high with a well-preserved passage and chamber, though the roof of the chamber has long fallen in. On a good day there is a wonderful view from the cairn. This outing involves a walk of some 9km and a climb of some 340m. This is an easy walk for regular hill-walkers but could be challanging for anyone not used to such walking. The path up the hill is very uneven, stoney, wet and rutted by water and the blanket bog on the hilltop is very muddy. Participants should wear strong boots with ankle support and have warm clothes and rain gear with them. Instructions for getting to Kippure Estate (see map below). 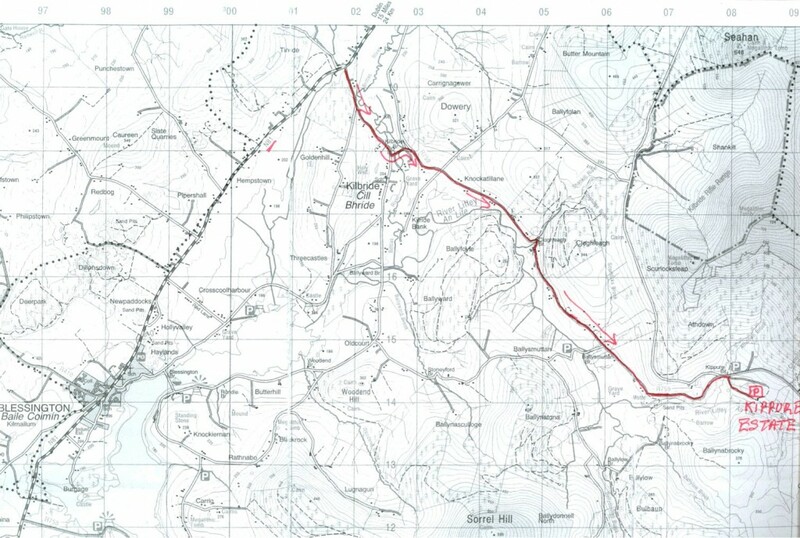 Travelling from Dublin to Blessington on the N81 take a turn to the left at Tinode on to the R759, which is signposted for Manor Kilbride and Sallygap. Just before the village of Kilbride keep left on the R759 for Sallygap and travel for about 6km to Kippure Bridge, where you turn right into Kippure Estate and proceed to a large car park on the left, which is our meeting point. Click on map for full size image. Saturday 17 – 25 August [Heritage Week] Lord Walter Fitzgerald’s contribution to Heritage in County Kildare and Surrounding Counties. Details on venues to be announced later. Speaker: Noel Dunne Archaeologist (Member) An overview of the results of archaeological investigations associated with the Sallins by-pass. Venue: Kilcullen Heritage Centre Followed by Tea/Coffee. Donation €5.